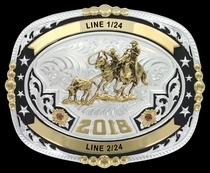 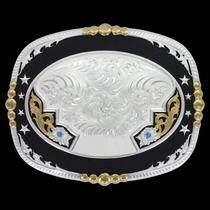 This gold and silver finished buckle is especially distinctive because of the black nickel finishing creating a dramatic unique buckle. 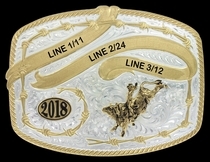 Graduating lines of silver and gold finished beads decorate various spots on the buckle with two gold finished banners, one sweeping across the top half and the other across the bottom. 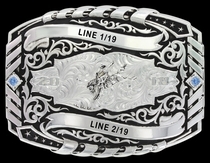 A large silver finished floral accent hold a bright stone of your choice, while the year curves to the side. 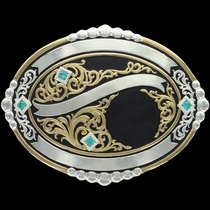 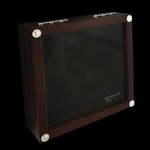 Traditional filigree design acts as a backdrop for a figure of your choice. 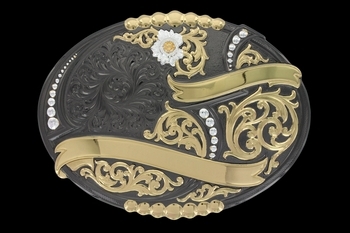 Standard 1.5 inch swivel.